An overview of 3 very different nutrition plans…. Everytime you turn around these days there is a new fad diet or nutrition plan that is supposedly the best thing since sliced bread. There are literally thousands of diets you can follow, making it very difficult to figure out which one can work for you, and work long term. I’m choosing three very different diets to go over. Keep in mind that everybody’s body is different, and while one plan may work wonders for your friend, it may not be the one for you. Also with any radical change in your routine you may want to consult your doctor, as some of these diets won’t work well for people with specific health issues. This diet has evolved from the Atkins diet, and is a high fat low carb meal plan. The theory behind it is that you will change your body’s fuel from primarily carb based to a fat and ketone based fuel ~ so rather than using carbs for energy your body will utilize the fats you have stored. This is called ketosis. With the Keto diet, as with many, its very important to pre plan and track your macros. If you are over your net carbs you will throw your body out of ketosis and at that point you’re just eating high fats and high carbs. 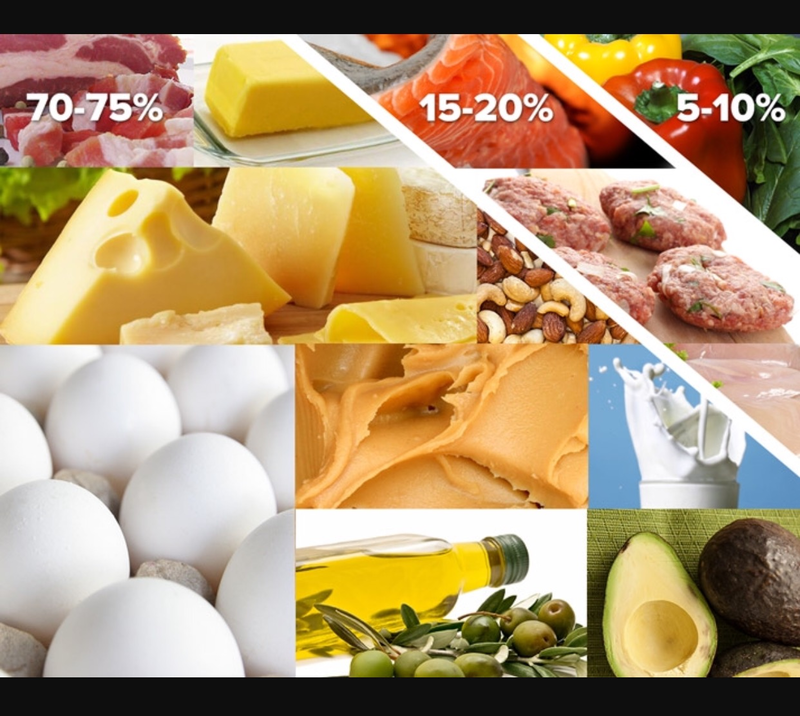 Typically you would shoot for 70-75% of your calories to be from fats, 15-20% from protein, and 5-10% from carbs. Keep in mind these are NET carbs, so add up your total carbs then subtract the fiber. For most people keeping net carbs under 50g will work. Its also important to not go over protein grams. If there are too many grams of protein they will be processed as glycogens, throwing off your ketosis. Important things to remember while starting the Keto diet: You will need to increase your sodium and increase your water intake. Carbs help store sodium in your body, and with such low numbers you can become dehydrated. Easy ways to increase sodium is to salt your foods lightly, incorporate broth into your diet. Another thing to watch is your potassium levels. Eat lots of dark greens, avocados (this will bring your fats up too), and nuts. Lastly, your magnesium levels will drop. Keep them up with high magnesium and high fat nuts like almonds, pistachios, pecans, walnuts, and pumpkin seed. My experience with the Keto diet was a very positive one. I felt really good, had good energy and was able to lift strong. My only downfall was I really REALLY missed my complex carbs! I would recommend this as a way to get past a plateau in a weight loss goal, even if you can’t make it a permanent lifestyle. The theory behind this diet is that we should eat as our ancestors did, hunting and gathering. This diet consists of fruits, veggies, meats, seafoods, and nuts. Typically the calorie make up looks like this: 35% fats, 35% carbs, 30% proteins. So it's a very balanced diet. Foods that are on the no-no list are things like dairy,rice, wheat, and corn, potatoes, beans, legumes, and refined veggie oils. Oils that are approved are olive, avocado, coconut, walnut, flax, and macadamia nut. While there is a lot of variety with the paleo diet, most people end up going “Paleo-ish”, adding in coffee, alcohol, and brown rice. Also some add in “ancient grains” like quinoa and spelt. Also legumes, because peanut butter. Who can live without peanut butter??? Because there isn’t a strict adherence to specific macros, you don’t have to spend time weighing and calculating foods meal prepping to stick to this diet. The Paleo Diet isn’t so much a focus on weight loss, but a lifestyle. It is BIG in the CrossFit community, and there are dozens of forums and facebook groups for people to support one another. One thing to be aware of is calcium and vitamin d deficiency ~ but you can easily supplement these. This diet is purely science based. It was founded by a naturopathic physician with the intent of helping people with digestive issues caused by the influences foods have on the blood antigens found in the gut and digestive tract. I don’t fully understand what all of this means, but here we go…. Lectins in certain foods bind to your blood type antigens and can cause your blood to agglutinate (stick together). This can result in headaches, digestive issues, skin problems and more. Science has already proven that people with specific blood types are more susceptible to specific diseases and conditions, as well as how the body physically reacts to stress. So the theory that different blood types respond differently to foods makes sense. To follow this diet, all you need is the book or the app. I use the app Blood Type Diet, Eat Right for Your Blood Type. Its super easy to navigate, all you need to know is your blood type. Foods are broken down into 3 categories ~ beneficial, neutral, and avoid. The foods labeled beneficial are proven to not have the agglutinating effect or raise bowel toxicity levels. Neutral foods are neither a benefit nor a detriment, so you can eat as much as you want here. Obviously the foods in the “avoid” section are the foods that will cause you issues. What I noticed my first week on this diet was a dramatic weight loss for my size. This wasn't a fat loss, but a loss is built up “waste” in my digestive tract and also a water weight. My skin, which is usually has breakouts, cleared up and I felt an overall “better” feeling throughout my day. I also find that when I deviate and eat something on the naughty list I can really feel it. I usually have tummy issues and sometimes a slight weight gain. For me, this is a long term diet that I can easily stick to. Also it's something you can incorporate into other diet plans. I can follow this on a paleo diet, keto diet (although some blood types will be easier than others), the whole 30, south beach, on and on and on. Oh, one thing ~ the blood type diet gurus have decided that all people should avoid wheat altogether, and are recommending manna, millet, spelt, oat, and quinoa flour and products. Ok, now you’re armed with a little bit of knowledge about a small sampling of diets out there! Happy Eating and Happy Lifting!